Do you have clients out of town? Do you charge them travel time? Would it be easier, cheaper and more productive to meet with them on line? Today there are numerous virtual meeting/webinar platforms to allow your business to grow and succeed outside your geographical location. However, you need to know how to use your platform or your message wil be lost as you try to figure it out. 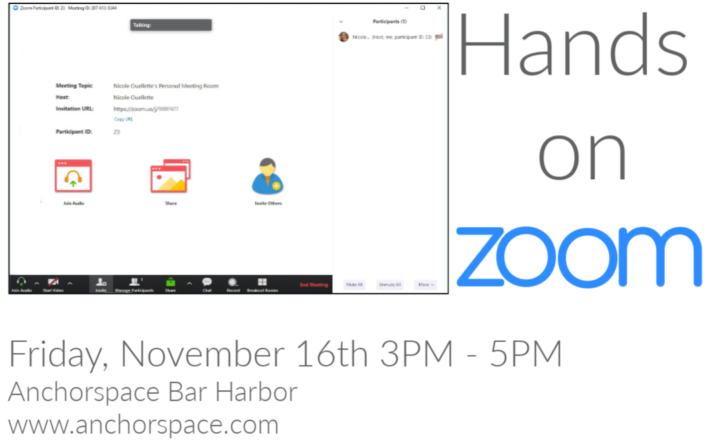 This workshop will provide some tips and trick for remote communication and then you’ll practice running Zoom video sessions in real time, so that you can be fully at ease and effective when presenting to a remote audience.